'This move seemed a natural fit"
AUSTRALIA'S largest peer-to-peer caravan hire company has expanded into the UK. NSW-based Camplify said it would initially focus on helping RV owners to list their caravans, motorhomes, campervans, trailer tents, static caravans and holiday lodges for hire on its site. Founded in Newcastle by Justin Hales and launched across Australia in 2015, Camplify’s online sharing site allows owners to list RVs for hire, placing all hiring cost in the hands of the owner. 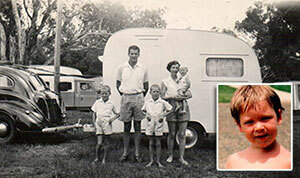 He recalled how he had spent many happy caravanning holidays with his parents as a child and in adulthood thought he would acquire his own RV. shortly after his company was launched.